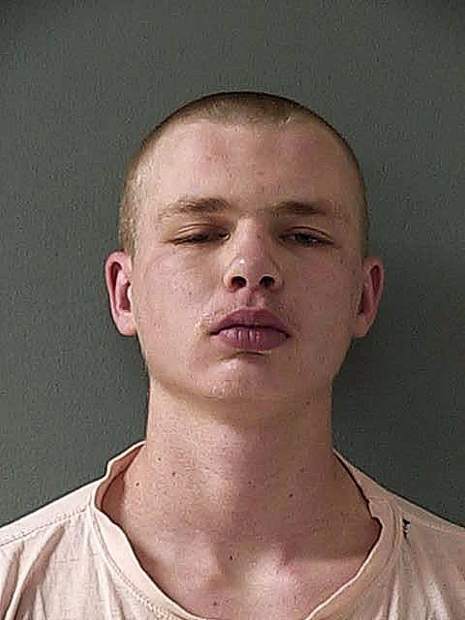 A 19-year-old man reportedly caught in the act of stealing a truck and trailer in Nevada City early Friday morning led law enforcement on a lengthy pursuit before getting stuck in the snow outside the little town of Washington. The victim, a resident of Nimrod Street, called 911 a little after 4 a.m. and was updating dispatch on their location. Dispatchers broadcast a description of the 1998 Dodge Ram pickup and 2004 dump trailer and a Nevada County Sheriff’s deputy spotted the truck on Highway 20 by Uren Street. The truck failed to yield and a high-speed pursuit ensued up Highway 20 and onto Washington Road. Due to the road conditions and his high rate of speed, the deputy following the suspect backed off, said Sheriff’s Lt. Sam Brown. The pursuit caught back up to the truck after it crossed Maybert Bridge onto Relief Hill Road, Brown said. The suspect then crashed into a ditch and was unable to get out, Ellis said. Dispatch records showed the pursuit lasted about 50 minutes. But it was nearly 45 more minutes before the suspect was taken into custody, as he refused to exit the truck and repeatedly tried to free it. Brown said that deputies are trained in felony “hot stops” to call out for the suspect to walk back to them rather than approach the vehicle with the driver inside. The suspect, identified as Justin Scott Day, of Nevada City, eventually was taken into custody. He was booked into county jail on suspicion of vehicle theft, possession of stolen property, and reckless evading officers. He was being held in lieu of $25,000 bail.